Vehicle safety specialist, Innovative Safety Systems Ltd (ISS), is calling for Reversing Radars to be compulsory equipment on waste and recycling vehicles to avoid accidents and fatalities during reversing manoeuvres. The Health and Safety Executive (HSE) recently announced its decision to prosecute a waste company following a fatal accident involving a member of the public in Brighton whilst a refuse vehicle was reversing. The vehicle’s reversing alarm was turned off and its CCTV system was defective; the vehicle was not fitted with reversing radar. 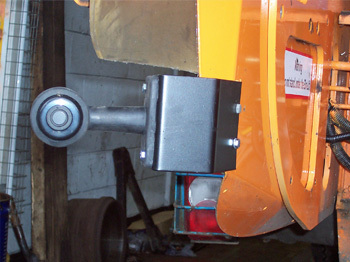 Although refuse vehicles are fitted with reversing alarms as standard equipment, such devices do not detect if a person or object is behind the vehicle. They only serve to alert pedestrians and traffic that a reversing manoeuvre is being performed. Reversing Radars use a combination of visual and audio signals to warn the driver if a person or object is behind the vehicle and at what distance. And the closer the person or object the more prominent and persistent the warning signals become.